2018 Course List now available! 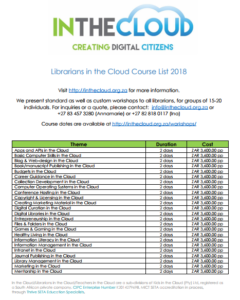 In the Cloud is proud to announce the 2018 Course List, offering 40+ courses to choose from! Contact info@inthecloud.org.za for more information. Click on the image below to view the list for more information.